Did you know, aka “Did-ja-no”…that radon is a silent killer?! Radon is a colorless, odorless and tasteless naturally occurring radioactive gas that is produced from the breakdown and decay of Uranium. Radon seeps into the house through cracks and other openings in the foundation or basement walls, concrete slab or directly through the crawl space. Radon is a cancer causing radioactive gas and is responsible for many thousands of lung cancer deaths per year. In fact, the Surgeon General has warned that radon is the second leading cause of lung cancer in the United States. Only smoking causes more lung cancer deaths. If you smoke and your home has high levels of radon, your risk of lung cancer is especially high. As part of any real estate transaction, a buyer should consider having radon gas levels measured. You can include a contingency clause in a real estate contract that allows the buyer to have the home tested for radon gas and to provide for fixing the home if a radon gas problem is found. What does a Radon test involve? 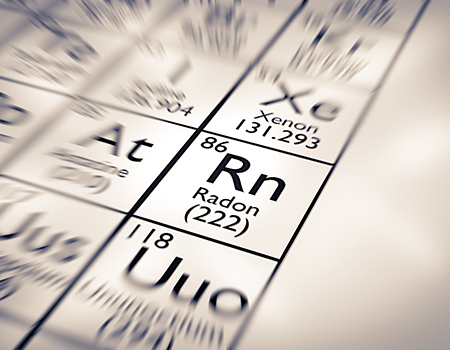 A typical Radon test is conducted over a three-day period in closed house conditions. Normal entry and exits are permitted but the windows and doors must remain closed as is reasonable. All-house fans must be shut off and only re-circulating air conditioners are permitted to remain on. All professionals who perform Radon Gas Measurement tests or mitigation must be state-certified. They must demonstrate sufficient education and experience, take state-approved courses in radon testing and mitigation techniques, and pass a written exam. How do you reduce Radon levels and what does it cost? You can easily reduce high radon gas levels by a variety of methods. The most common method of radon gas remediation is sub slab ventilation, which uses a fan to draw the radon gas from below the concrete slab or foundation, thereby preventing its entry into the house. The cost is typically about $1,100 although it could range from $500 to $2000 depending on the method chosen. At Precise Home Inspections we’re specialists at detecting radon in your home. Don’t wait, please contact us today for your radon inspection, and keep your family safe from this hidden danger.